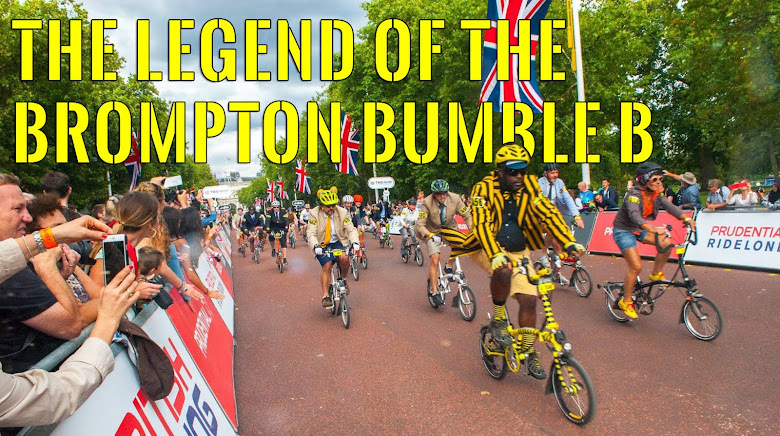 The Legend of the Brompton Bumble B: Going "Clipless"
On our recent rides we have felt pretty good, especially going up Box Hill which we have now renamed "Cardboard Box Hill"
Questioning the SPD members of the London Brompton Club & the staff at my local bike shop Londonfields Cycles, E9. We feel we are now at the stage where my fitness level & cycling technique should benefit from the change. 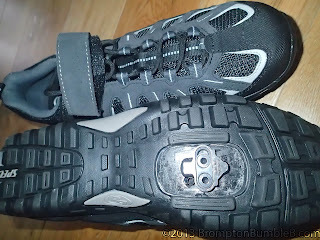 After discussing with David P regarding his cycling shoes I decided to get the same Specialized BG Tahoe shoes. I wasn't sure about the sizing so I went to my Londonfields Cycles, E9 and they so happened to have them in stock and in my size. They will be adjusted ofcourse with yellow shoe laces in due time. 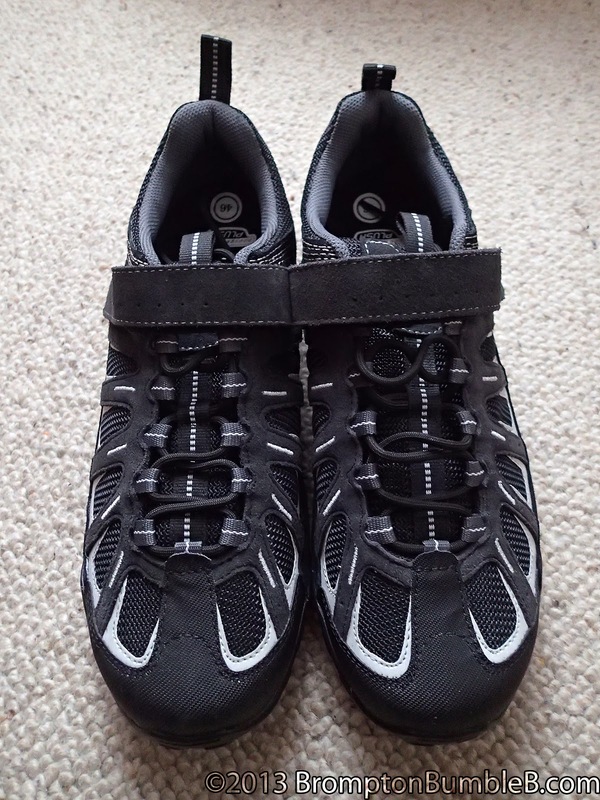 I'm liking these cycling shoes as they are great to walk in as well as cycle in. 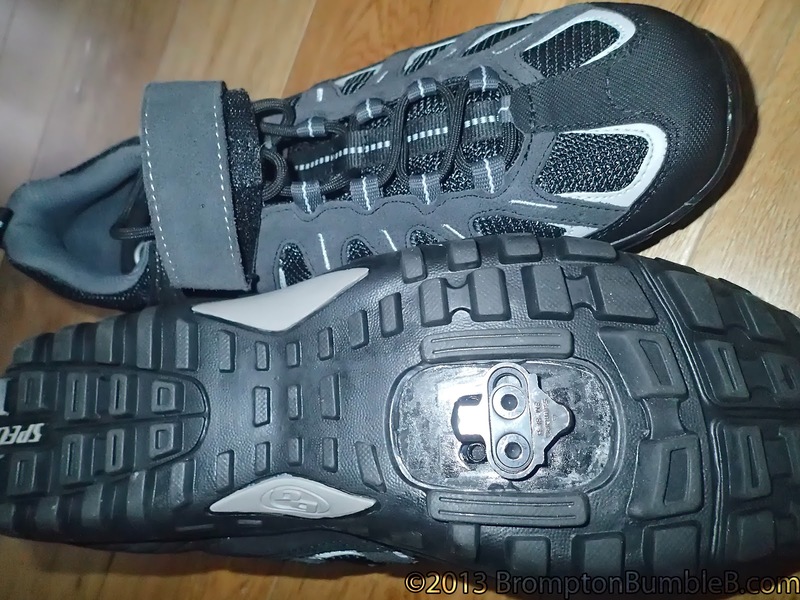 I can actually feel more though my feet as the sole is much harder than normal shoes I wear so I get more sensations though the pedals. The way the Velcro strap goes over the top of the laces is good too as stops those laces from flapping about and getting caught in BumbleB. 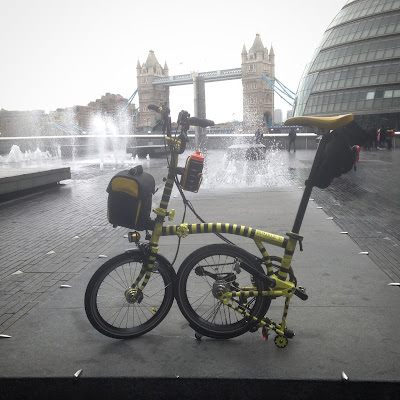 My cycling partner in crime swears by his Specialized M780 pedals which so happen to be on a pretty good discount at wiggle.co.uk at the moment too. They are a higher quality of SPD pedals than the M520's but we shall see when the time comes when ordering. Well after practising "Clipping In & Out" holding onto a wall then I went around my local area practising emergency stops & starts. I have to say its very different to what I'm used to but I think I could get used to it. I seem to be favouring the left pedal in "clipping out" at the moment but hoping in time I will be able to do either. Still surprises me how much effort is needed to clip out as I think something is going to break. Also finding that I'm also using the "up stroke" when pedalling and I can feel a whole different group of muscles working now. I think we are going to like SPDs just have to decide which ones I finally purchase for BumbleB himself. 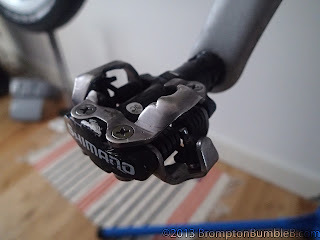 I read with interest your views on going clipless. I only have clipless on my turbo trainer and love the way I can use my energy on the upstroke too, but my imagination prevents me from going clipless out on the road. I always imagine myself not being able to unclip and ending up under the wheels of an HGV. Silly, I know, as I never have a problem unclipping when on the turbo. Sounds like you have made a good purchase and long may you enjoy them.